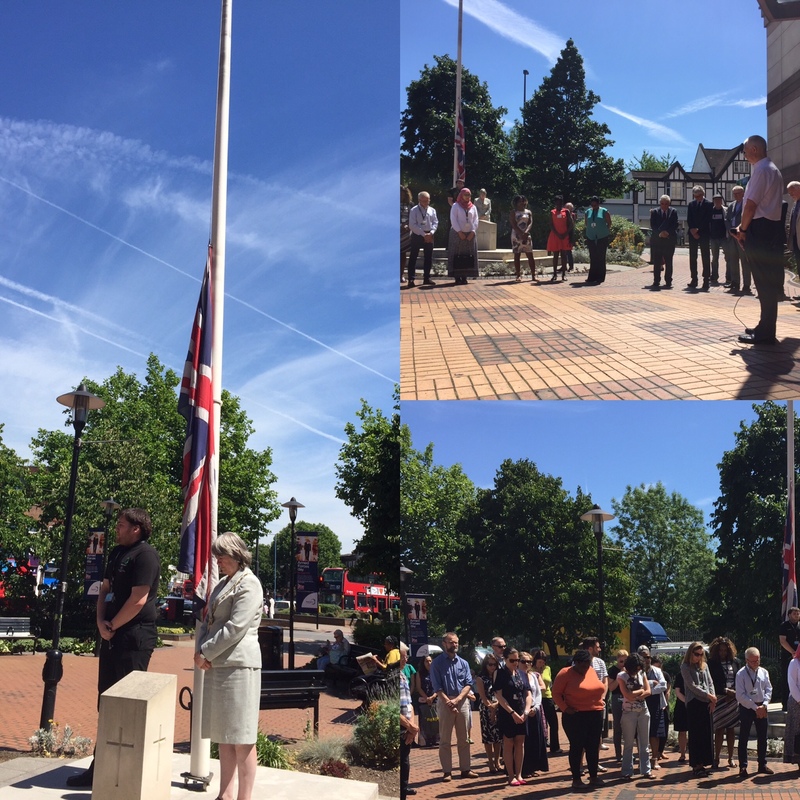 A minute’s silence was held outside the Civic Centre at noon today in remembrance of those affected by the terrorist attack in Finsbury Park last Monday. The Union Jack flag was lowered to half mast by Deputy Mayor, Councillor Judy Saunders. There is a book of condolence at the entrance to the Civic Centre which all are welcome to sign.